Amazon Patents Photography on White Background - Or Did They? Some times patents can lead to mass confusion as to their application and capability to prevent normal, everyday activities from regular citizens. More often than not these have very little effect on the Average Joe, but can impair small and up-and-coming businesses trying to break into an area heavily controlled by patent owners. In this context patents are a double-edged sword; they both enable innovators, both in technology and techniques, to protect their inventions, but they can also cause a field to be nearly impenetrable for those upstarts, hindering the creation of new small businesses. Arguably this is an act of balancing both interests, but every so often new patents surface which create potential controversy, something which the big online retailer Amazon recently faced. 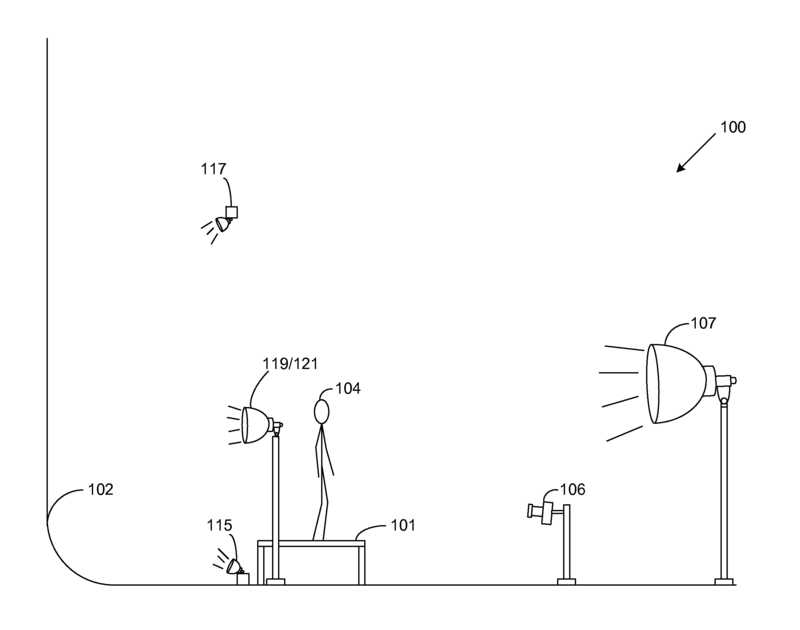 The patent in question was Patent 8,676,045, granted some 4 days ago, through which Amazon was given the patent over a very specific photography studio arrangement. Roughly explained this setting encompasses a white cyclorama as a background in front of which there are lights shining onto the background. Then there has to be a platform on top of which the subject of the photograph is placed, be it a human or an item, and in front of this the device which takes the photograph, and finally behind the device is a light shining onto the subject. What makes the patent even more specific are the settings which the camera has to have when taking the picture: "...[the device has to be] equipped with an eighty-five millimeter lens, the at least one image capture device further configured with an ISO setting of about three hundred twenty and an f-stop value of about 5.6". Although, on the face of it, the patent seems like it could be used against hobbyist and professional photographers alike, the matter is not that straight-forward. What makes the patent highly irrelevant to most photographers is just how specific it is. Clearly Amazon seeks to protect a method of photography it intends to use for its own purposes, potentially to take photos of items being sold on their website. This is why the patent is so specific, and should it have been more general it probably would have been rejected by the USPTO. Most photographers will not use an exact replica of Amazon's set-up, and can actively avoid it now that the patent has been accepted and published. Although it has created an outcry in the photography community, this can be argued to be for naught. In addition to its specificity the patent would be very hard to enforce against those who would use the same or a very similar set-up. This was explained well by Peter Thorniley: "[h]ow can you distinguish an image created through their [Amazon's] process, from an image created in another way, to which some post-production has been applied? I am not sure it would be immediately obvious". Arguably Mr. Thorniley is right, and it seems highly unlikely Amazon would even pursue the matter against your typical photographer, as the investigation into their photographs and the method through which they had been produced would consume both money and time. What was also mentioned by Mr. Thorniley, and this writer agrees, is that the patent would most likely be used against industrial producers of photographs or even other online retailers. Pursuing these entities would make sense monetarily and protect Amazon's interests in how their products are displayed in their pictures. As one can see patents can often be misconstrued, or even seen as threats. Certainly a level of healthy skepticism is good to have, and some patents should be scrutinized or even challenged, but more often than not patents will not hinder the practices of every day people or small-time professionals. Should Amazon's patent cause any issues to individuals or businesses it probably will be challenged in court, and the existence of prior art in this particular set-up can be said to be near certain. Chances are this patent will quietly slip into Amazon's extensive patent portfolio, so no need to cancel your Christmas photos this year in fear of infringement.